Active Release Techniques® (ART®) Can Treat Sciatica | Learn How. 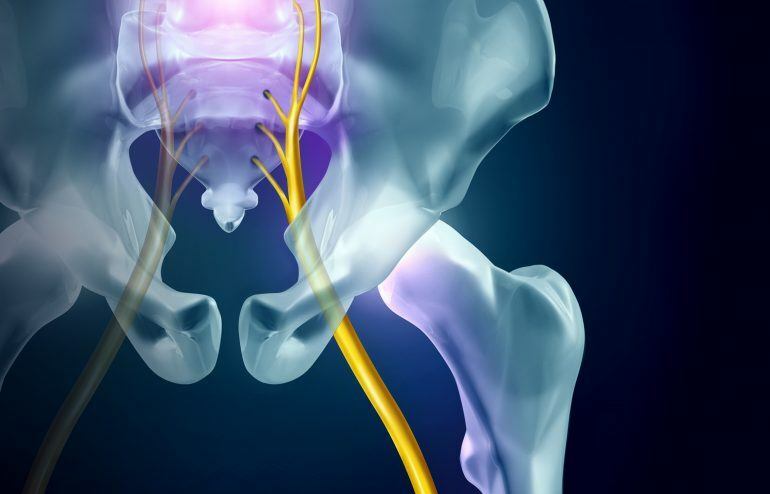 Sciatica, or irritation of the sciatic nerve, is more common than you think. Because most Chicagoans are required to sit at their desk for long periods, this can weaken one’s gluteal muscles and tighten the hip rotating muscles in the hip/deep buttock. When one sits for chronic periods, this may compress the sciatic nerve and lead to symptoms traveling down the back of the leg into the calf and into the foot possibly. Often, one complains of weakness, numbness, tingling, and pins & needles down the back of one’s leg. It is critical that when one develops symptoms to have it evaluated. This blog will address how Active Release Techniques® (ART®) can treat sciatica (if it is determined to have originated outside of the spine; if sciatica is coming from the spine, then it is likely a herniated/compressed disc and this warrants a different approach to treatment and/or imaging). ART® can treat sciatica by breaking down scar tissue that formed around the sciatic nerve from overuse and repetitive movement. Sciatica can occur at a few different areas (deep buttock and hamstrings) and when correctly examined by either a sports certified and/or ART® certified chiropractor, one can determine the location of the pain and symptoms. Also, following a thorough consultation and examination, one can identify the cause to hopefully resolve the symptoms quickly. Nerve injuries do not heal like muscle injuries do because nerves are constantly working to contract the muscles. ART ® can improve the movement of the nerve as it travels down the leg to create more movement through the affected area and place less tension on the nerve. When ART® is utilized alongside chiropractic manipulation, it gives the patient the best chance of success to heal. Corrective exercises are also critical too to help activate the core/trunk, in addition to stretching the hip muscles to lessen the pressure on the nerve. The sooner the injury is evaluated and addressed, the likelihood of seeing a faster response to treatment. If you or someone you know is suffering from sciatica, let him/her know how ART® can treat sciatica effectively and quickly so you do not have to suffer as spring approaches. KINESIO TAPING® is More than just Colorful Tape!